It’s often said that 70% to 80% of flavor in whiskey comes from the cask. While this will not be our forum to debate it, rest assured the prevailing assumption that this is a hard-and-fast rule is something we categorically reject at Westland. There certainly has been no shortage of rules etched into the canon of whiskey. Some are absolutely worth honoring. Many, however, are conveniences devised to serve marketing ploys or obscure shortcomings. The reason this particular point of view has taken root is because most distilleries do little to nothing to highlight the other raw ingredients. Over the years, the chorus of voices championing maturation as the primary method for distinguishing one brand from the next has become not only pervasive, but nearly unanimous. Why has this perspective taken such a strong hold of our industry? The answer is, of course, more complex than we’d all like it to be. To begin with, we must acknowledge in the midst of this modern day boom that whiskey has assumed an exalted status that it hasn’t always enjoyed. In part, what drew us to whiskey in the first place is its humble roots. Unlike many other spirits, whiskey began simply to serve a utilitarian purpose. 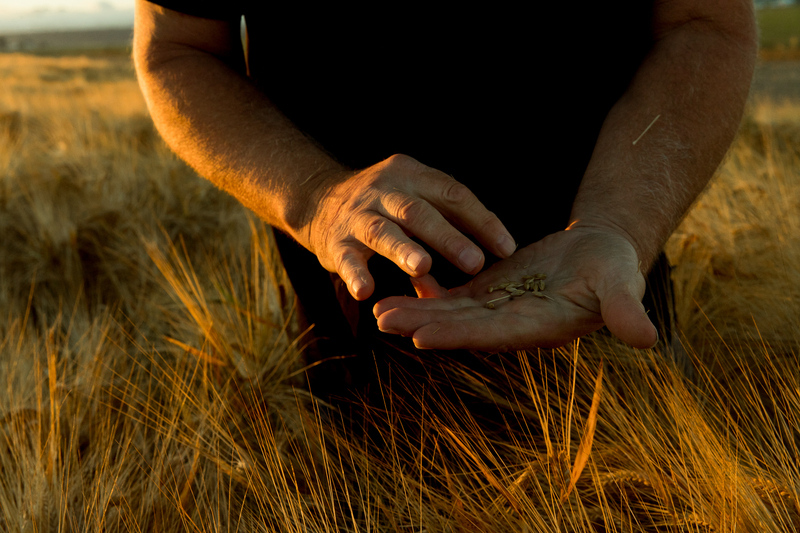 Farmers, living on the edge of civilization, relying on themselves alone for survival, needed a way to preserve the value of the grain being grown in local communities. Grain is bread. And bread, for many years, was life itself. Over time however, there has been an awakening. The nascent human ambition to create something of great complexity, nuance and beauty fostered art in whiskey-making once the need for preserving grain was no longer necessary. The vast possibilities in whiskey were beginning to be explored. Only in the past two centuries has whiskey-making been practiced commercially in a way that is recognizable today. For most of those two hundred years, whiskey embraced its humble roots, reflecting the place it was made and the culture of the people that made it. It was an authentic spirit of the people, for the people. But in the past few decades, commercial opportunity, consolidation, the scaling of the world economy, and technological advancement have all conspired to strip the industry of its connection to provenance. In the process, fundamental ideals have been compromised. The modern whiskey industry has largely left its agricultural and artistic roots behind. In its place, a narrow philosophy remains, one focused strictly on costs, yields and efficiencies. To be objective, Westland’s point of view is borne of the industry’s newfound success. We founded the company in the midst of a whiskey boom, when genuine consumer interest in single malt was skyrocketing. For us, having only really known the good times, it’s easy to criticize the cost-slashing measures of an industry that no longer relies on these cuts to succeed (or justify prices that increasingly reach hundreds or thousands of dollars a bottle). We can forget that, for all but twenty of whiskey’s six hundred years of existence, low cost been the primary goal for producers. But we are in a fortunate position to cast our work in a new light. Like chefs and brewers who have experienced a similar renaissance, we can focus on quality first because the market has made room for it. We’ve learned from our work with these casks how critical the quality of oak is to our whiskies. But the great trick in focusing on something that isn’t the category standard is that you can’t do it all alone. Maturation is just one component to consider, but there’s no questioning its importance. From day one, the quality of oak, and our ability to leverage the broad array of characteristics it can provide, has been a top priority at Westland since day one. We were never blind to the fact that quality comes at a price, but we found reassurance in winemakers who aren’t afraid to pay more to gain more. Fortunately, the primary supplier of casks in this country offers whiskey casks that live up to these principles. 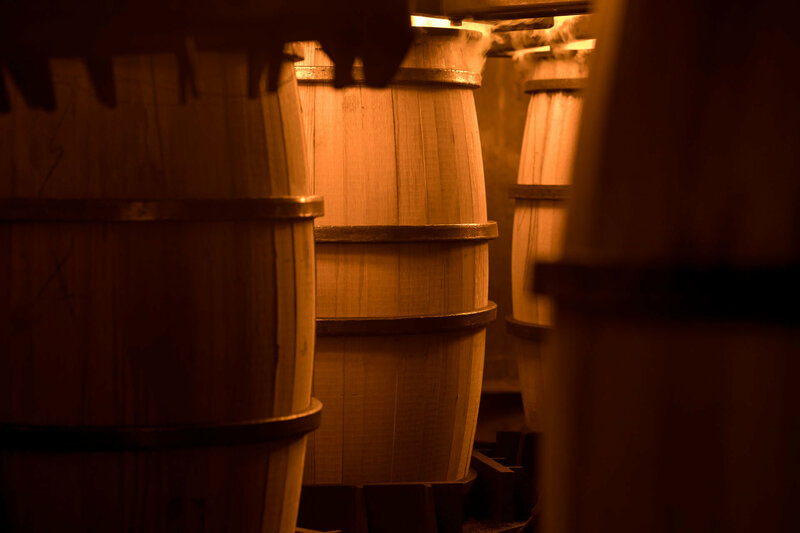 We’ve learned from our work with these casks how critical the quality of oak is to our whiskies. But learning is not understanding. For that, we had to travel deep into the Ozark Mountains. Independent Stave Company (ISC) operates one of their main cooperages in Lebanon, Missouri. We were excited to finally see this cooperage firsthand, but before doing so, it was important to see the forest where a cask begins its life. While American white oak (Quercus alba) grows across the eastern half of the United States, from northern border to southern, much of the oak we source comes from Missouri, specifically the Ozark Mountains. Here the soil is so poor that not much beyond oaks can grow well. But given the nature of the soil, those oak trees tend to be very slow-growing. This is a critical and valuable benefit of the unique Ozark ecosystem. In St. Louis we meet our colleague from ISC, Chad Spalding. He’s driven nearly five hours from his home in Kentucky to welcome us at the airport. Chad is a guy who knows his business in and out, but he’s not the kind to seek credit for it. He’d sooner ask questions of us than launch into a sales pitch to impress. Like us, he wants to learn and deepen his own understanding of oak maturation. But most of all, he simply wants us to feel at home. This is our first introduction to ISC’s incredible hospitality. It goes beyond pleasantries and business etiquette—those things you do because that’s what the playbook prescribes. We’ve landed in the heart of bourbon country, but the team at ISC welcomes our crew of strange, flannel-wearing single malt makers from Seattle as if we were their own. It’s clear from the first handshake we’re amongst friends. From St. Louis, we take an early morning flight deep into the Ozarks on ISC’s small prop plane. These planes aren’t just for executive comfort. 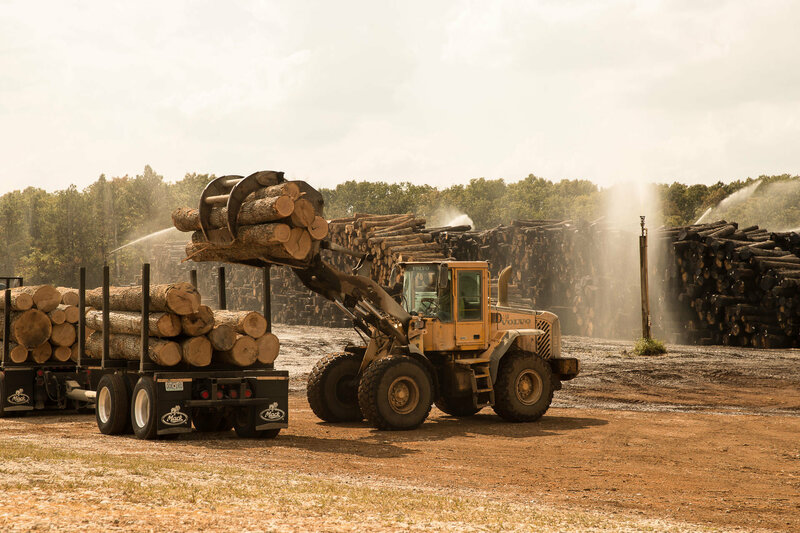 They are deployed nearly every day of the year to move team members around the region to conduct important audits of all the company’s various logging sites, mills, and cooperages. We land on a small airstrip outside Salem, Missouri and are immediately poured into the waffle iron. Stepping off the plane, we feel pressed between the steaming ground beneath us and the soaked heat of the air around us. A team from ISC is waiting for us outside K33’s small hangar. Most are wearing a wry smirk on their face, enjoying every twist of discomfort they see in ours. Garret, for his part, looks worried that he’ll have to peel us off the runway. 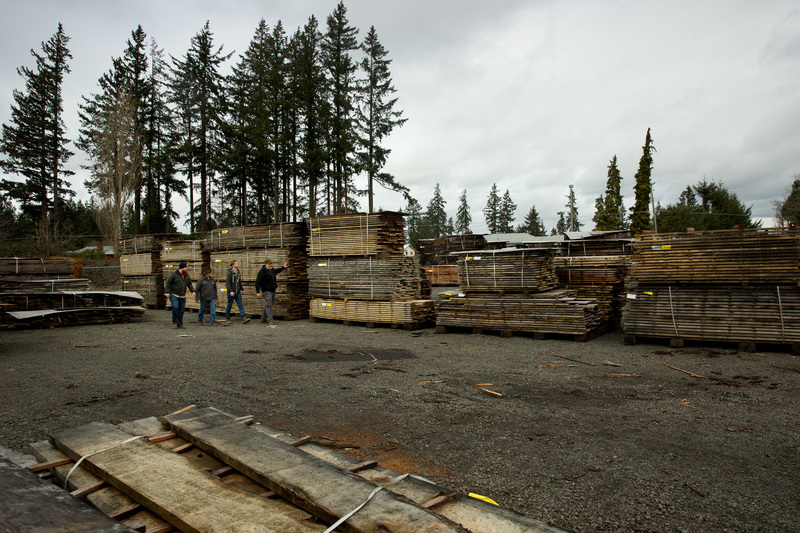 Garret Nowell, a biologist by trade, oversees the lumber sourcing for the company. He takes the wheel of his pickup and leads a small caravan to one of their active sites to meet a team of loggers felling oaks for the company. ISC doesn’t own any of its own forests, instead electing to partner with independent loggers and landowners to source their oak, a system everyone appears to be happy with. We ride through the quiet and beautiful scenery of a forestry town. Being from the Pacific Northwest, we have a certain familiarity with small towns that are reliant on the lumber business. But out here, there are no fir trees, no damp gray skies like we’re used to. In fact, the temperature on this day would later climb to over 100 degrees with oppressive humidity, something that would have the typical Northwesterner curled up on the ground in the fetal position. While there are some obvious differences, we couldn’t help feeling a sense of kinship with people who tread similar ground as we do. Eventually we turn off the main road, driving on gravel then dirt to a thick tangle of brush and oak trees where Kelly Frizell and his crew is waiting to meet us. Kelly is a certified Master Logger. In these parts, that’s big deal. 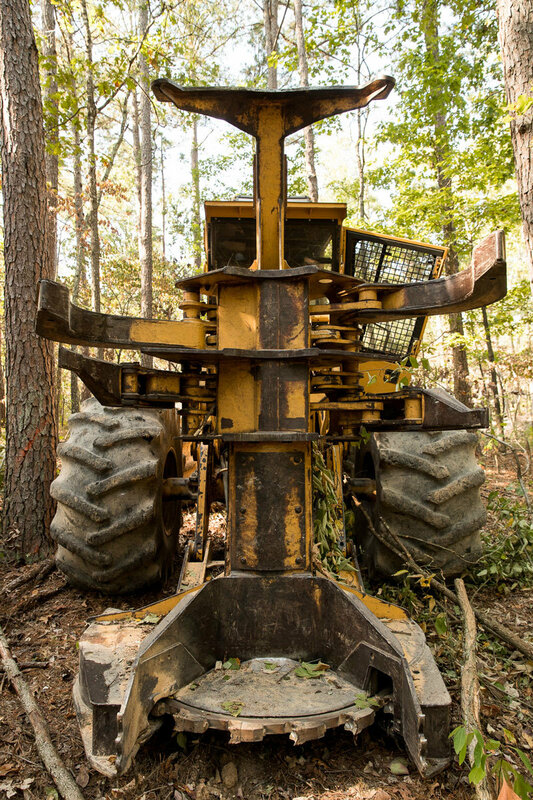 At the time we visited, he was one of only 21 certified Master Loggers in the entire state. The certification process to become a Master Logger is an arduous one, to say the least. Outside the academic rigor, there is real world skill that must be demonstrated. Every applicant is required to submit to audits of their active logging sites, assessing them on 68 different best management practices. On top of all that, hopefuls must then formally apply to a certifying board that requires a unanimous vote in order to be approved. As a Master Logger then, Kelly stands at the pinnacle of his profession. He can’t get complacent though. Every other year he must be recertified. Kelly is a man that looks like he’s spent his entire life out in these woods. He wears the grit of his occupation in a way that makes you think he’d look completely out of place anywhere else. He’s clearly a man that loves his work. He’s comfortable out here, and for a big guy, moves through the brush with a natural ease. Kelly meets us with a bemused smile, handing us a bottle of tick spray and chuckling as our team endures yet another rite of initiation. We make our way down a dusty path to a worksite set amidst dense underbrush and what look, to us, like fairly small oak trees. These look nothing at all like the massive old-growth oaks of the Pacific Northwest. We are far from the cooperage, witnessing a part of the process that most people (ourselves included) know very little about. As we walk the woods, we immediately notice the biodiversity. This is a managed forest but it doesn’t at all resemble the manicured oak forests of France or the aptly named “tree farms” of the Pacific Northwest. There are red oaks and hickory here, and an endless number of smaller bushes and shrubs. Kelly leads us past tree after tree until he finds one marked for harvesting with a yellow “X”. With his chainsaw roaring, he begins to cut at the base of the tree. Sawdust swirls into the air around us, steeping us in the sweet and familiar scent of white oak. He makes quick work of the tree, placing it down exactly where it needs to fall. We can’t help feeling incredibly excited by the dawning realization that we’re seeing impacts of different terroirs within the same tree! Kelly gathers us around the newly-separated log and stump then immediately begins to grade the wood. Grading a tree involves assessing the usable board-feet of the log and cutting away the bits that a cooperage like ISC won’t be interested in. The pace at which Kelly performs this grading is remarkable. It’s second nature to him and he moves quickly and decisively. Kelly then has us examine the stump in detail, pointing out that it’s not perfectly round but slightly oblong on one side. Upon closer inspection we can see why. The part of the tree that begins to extend outward, further from the center, is growing faster due to a richer soil on that side of the stump. On the other side, where the tree was growing slower, the ground is much rockier with barely any soil on top of the bedrock. While Kelly finds this casually notable, we can’t help feeling incredibly excited by the dawning realization that we’re seeing impacts of different terroirs within the same tree! The lower water retention capacity and nutrient availability on the rockier side caused that half of the tree to grow slower than the other half which was rooted in richer ground. People often ask us why it’s so important to taste each cask and not follow a standard recipe when we prepare a bottling of our American Oak expression. This is why. This is perfect validation. Not only is every cask unique, and every tree unique, but there are even variations within one single tree. While some of these variations can be accounted for (by counting rings per inch to determine growth rate, for instance) the impact of flavor compounds and oxidation rates are still hard to quantify in raw lumber. As we slowly make our way back to the trucks, Kelly fells a few more trees to showcase other tools of the trade. Garret narrates the broader picture. He tells us that, while we’ve been visiting a piece of land thousands of acres in size, each site is divided into individual tracts of land as small as one third of an acre. Each tract is delineated by its unique characteristics including slope, aspect, soil, water availability, and a slew of other variables. To work this land requires an intimate relationship with its surroundings. It’s a way of life passed down for generations. For Kelly, the relationship with this area is made that much more vivid by the knowledge that these were the woods where his grandfather, working much as his grandson does today, died in a logging accident. The next stop for this raw wood is the local mill just down the road. We follow the path of the cask, thanking Kelly for his timing and leaving him to his work. At the mill we observe yet another round of grading that takes place out in the yard after the logs are unloaded. While the logger will perform a rough calculation of how much usable wood is in each log, this check is conducted by the cooperage as the logs arrive at the mill. This adds another, more accurate assessment and also serves as the starting point of negotiations on price between the logger and the cooperage. Using a thin, graduated measuring stick, ISCs head ____ Chad Cook rapidly calculates usable material by multiplying length and diameter to get total volume then subtracting areas that have been compromised by knots or other deformations. Each log is then milled to the correct dimensions for the drying stage. Through a dizzying array of sorting and cutting stages, the oak is cut into roughly stave-shaped pieces and loaded onto a pallet. The speed of the line and the reaction times of the people working it were extraordinary. The mill manager, Kenny Wisdom, shows us around with pride. Given the immense complexity of the stave mill, it’s a testament to Kelly’s diligence and expertise that it hums with such impressive efficiency. There are so many traditions and professions romanticized in the world of whiskey but others that never receive their due credit. The people we met today fall squarely into the latter camp. Too often in our increasingly disconnected world, we tend to forget about the value of knowing where things come from. 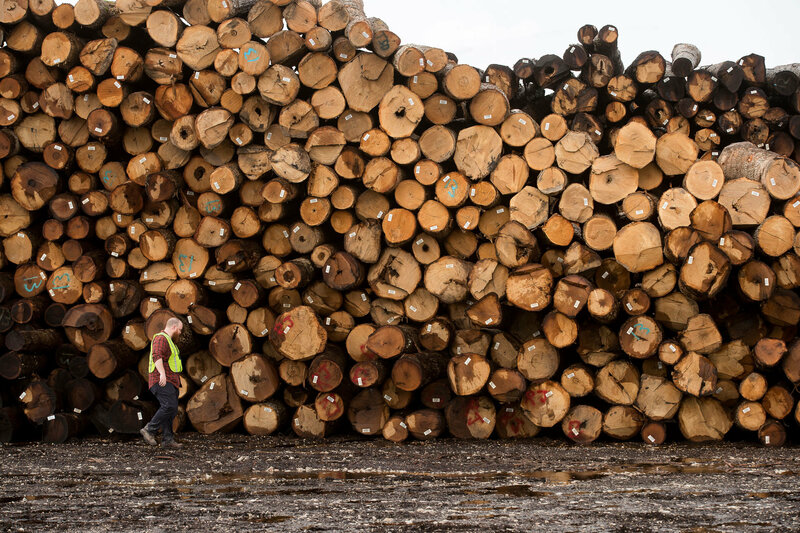 Each cask we use at Westland begins with selecting the right oak harvested in the forest. But to make something quality from it requires the collective skill of number of craftsman that steward it along the way. No profession is less understood in this business than that of the loggers and millers who bring this oak in long before the wood is ever coopered. It was a great privilege to get a glimpse into their world and a real appreciation for their work. We take pride in sourcing high quality oak, but what does that actually mean? For us, we’re looking at two main things: slow-growing oak and air-dried staves. Growth rate in a tree is a calculation of growth rings per inch. Slow-growth oak typically results in eight to fourteen inches, or “fine grain”. Anything greater than fifteen rings per inch is considered extra slow-growth, or “extra-fine grain”. When a tree begins to grow in the spring, there are large diameter pores that can be easily viewed by the naked eye. These pores are channels, transporting nutrients up and down the tree. If the tree continues to grow in the summer it doesn’t need to add more large channels so instead it packs on much denser woody material. 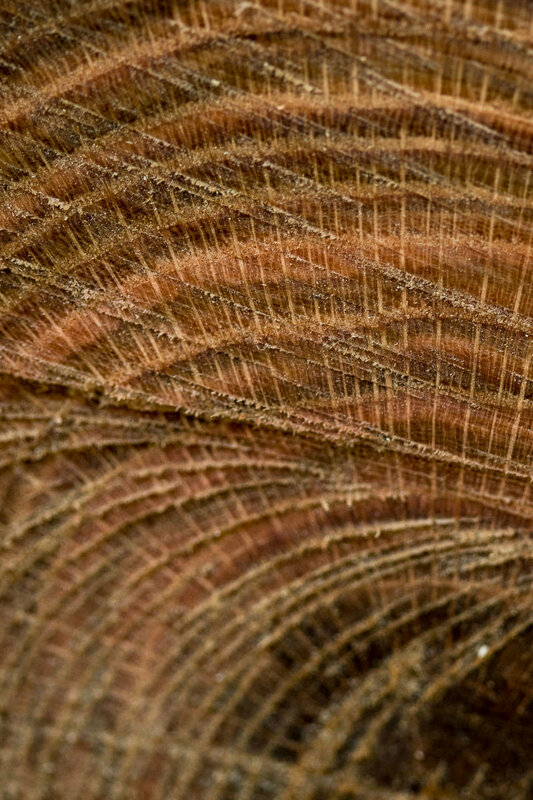 When a tree then is described as “slow-growing”, it means that the wood is, perhaps counter intuitively, less dense as a greater proportion of the wood is made up of these large pores. Why do we want slow-growth oak? The answer is tied to our general view on maturation; namely, that our primary goal during the last stage of whiskey’s production is to oxidize and develop the spirit, not extract huge amounts of oak character. The relatively higher porosity of slow-grown oak, combined with air-drying, brings in less assertive woody notes that help us keep the spirit in balance. The oak we use at Westland is air-dried for either 18 or 24 months. 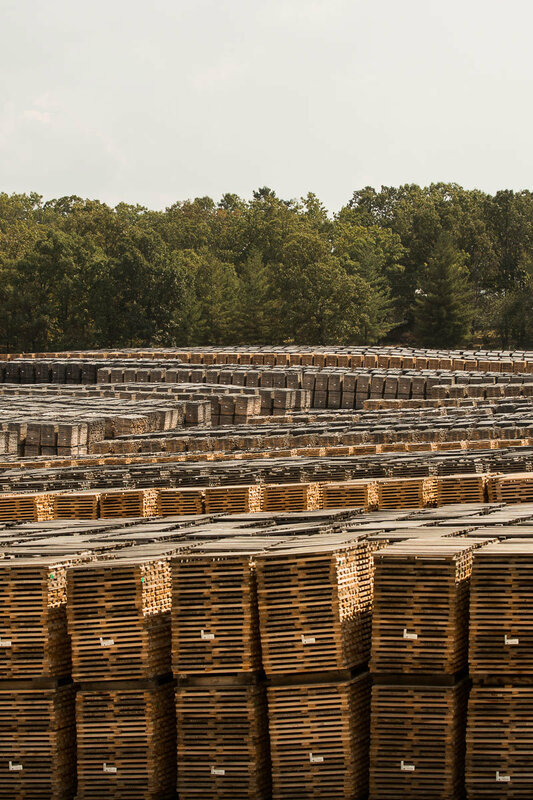 Historically, wood was always seasoned, left outside in the elements for months on end in order to lower the moisture content and ready the wood for cask production. However, with the advent of kilning technology, today it is possible to lower the moisture content much more rapidly. It is more precise, much faster and more predictable compared to the inherent instability of weather patterns. So why use air-drying at all? It turns out that, while kiln-drying and air-drying are both attempting to lower the oak’s moisture content to the same final level, it is how the wood dries that makes a significant impact on flavor. When wood is left outside to dry naturally, a number of things happen that don’t occur inside of a kiln. The natural forces of rain, sun, heat, cold and fungal activity will slowly break down many compounds within the wood. These compounds develop inside of the tree to prevent rot from forming while the tree is alive. A slow decomposition changes the fundamental structure of the oak. Perhaps the most significant of the impacted compounds is tannin. Known for being bitter and astringent, tannins are either leeched from the wood or broken down into smaller compounds when wood is being air-dried. Some of these smaller, tannin-derived compounds in turn act as a catalyst for oxidation. These are critical in helping us achieve our goal of a balanced and mature spirit. 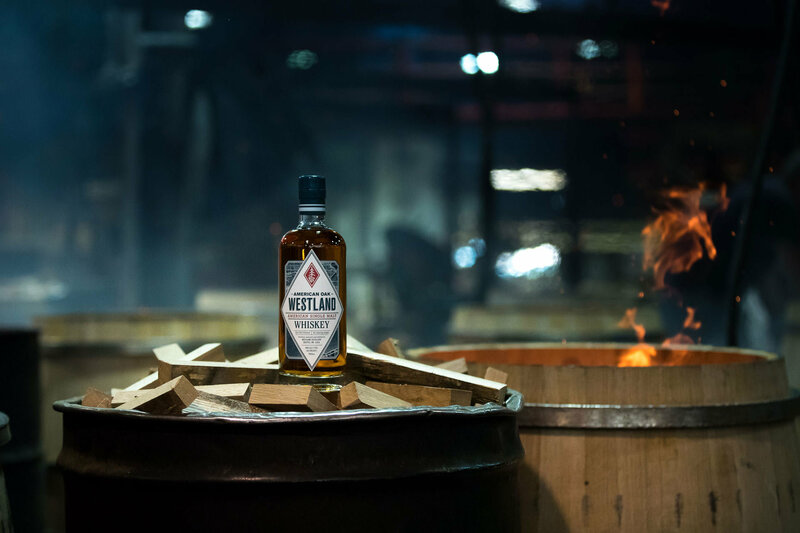 Our commitment to using exclusively air-dried wood at Westland certainly makes us an outlier in the world of whiskey. 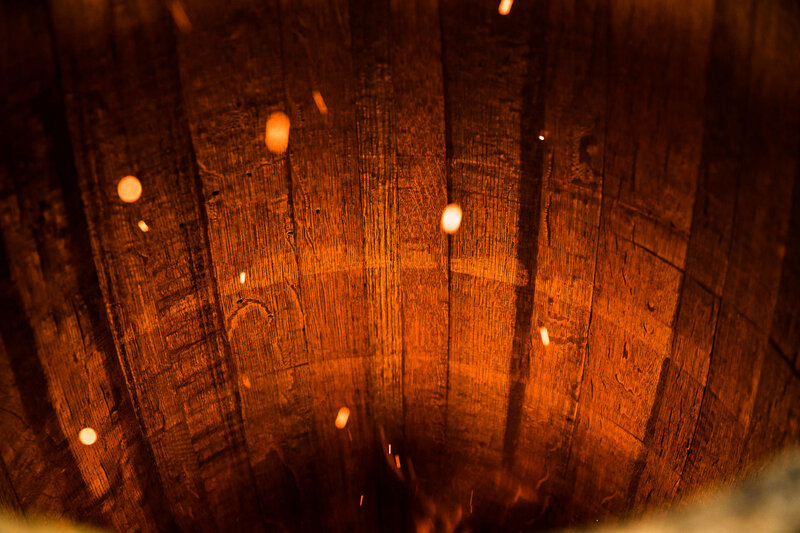 While the effects of air-drying are well understood and embraced by winemakers, in whiskey the vast majority still choose solely kiln-dried oak. In fact, as we would learn at the cooperage a short flight away in Lebanon, Missouri, the process and technique used to craft casks for Westland at ISC actually matches that used to make wine casks, not traditional bourbon casks. The next day we’re up early again to visit the cooperage where all of our new American oak casks are made. Tucked alongside Interstate 44 in the wide-open expanse of southern Missouri, this sprawling operation is beyond impressive. Our first stop inside the cooperage is a visit with Randall Speer at the jointer wheel. Randall is one of the elder statesman at ISC, a man that represents everything we’ve come to admire about the company. He’s been working this position for more than two decades, something the managers of the cooperage admit that they’re a bit nervous to think about. Quality, speed and precision are points of extreme pride at ISC and the prospect of having to replace one of their best when he retires is looming. They will soon have to bring on an apprentice to learn how to work what is one of the more difficult pieces of equipment with the skill Randall brings to his job every day. After the jointer wheel, the staves are measured and stacked together with companions to form exactly the right number of pieces for one cask. The stack is then sent to a cooper who begins to place them, standing roughly upright, in a circle. Outside of the fire room, this is the one part of the process that the whiskey business tends to romanticize. And no doubt, there is some theater to this work. But without the artfulness of those before and after the cooper, there is a different brand of drama. If something is off in the previous stages the staves will not fit together precisely. In many cooperages, the cooper will select staves to be placed into the ring from a stack. If the last stave is either too wide or too narrow, they can go back to the stack to find one they think will fit. This time the staves fit together perfectly, every piece. The partially assembled cask, cinched together at one end with the staves sticking straight up like a wooden crown, is sent to be heated so the wood can be bent into shape. As one of the single largest cooperages in the country, we expect to see the hulking, whirling machines turning out cask after cask with modern technology helping them along the way. What is surprising as we make our way from stage to stage, is the level of specialization integrated that calls on traditional coopering techniques. 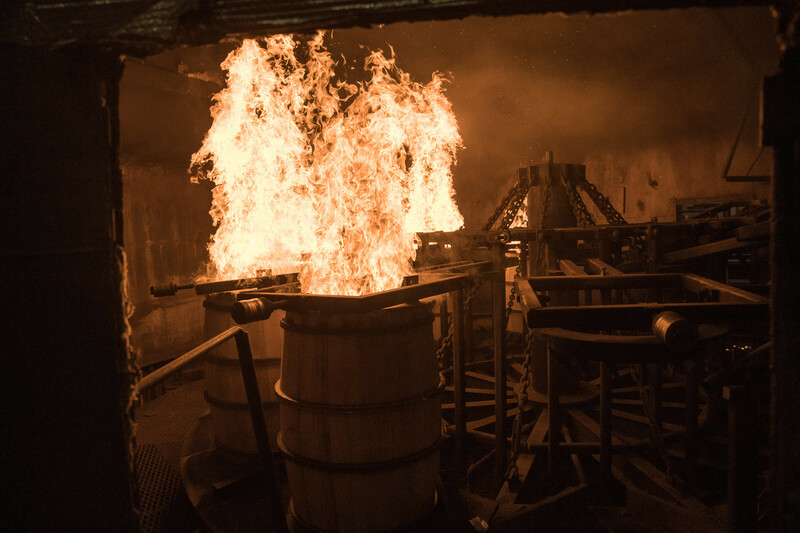 For example, modern casks that go to bourbon distilleries are steam-bent, meaning that the wood is heated with steam to make it pliable enough to shape into the long arc of a cask stave. After this, most casks are charred, imbuing that classic bourbon cask character. However, ISC also has another line that uses age-old fire-toasting techniques where the wood is being slowly warmed and toasted by an oak chip fire. This process can take upwards of 45 minutes. 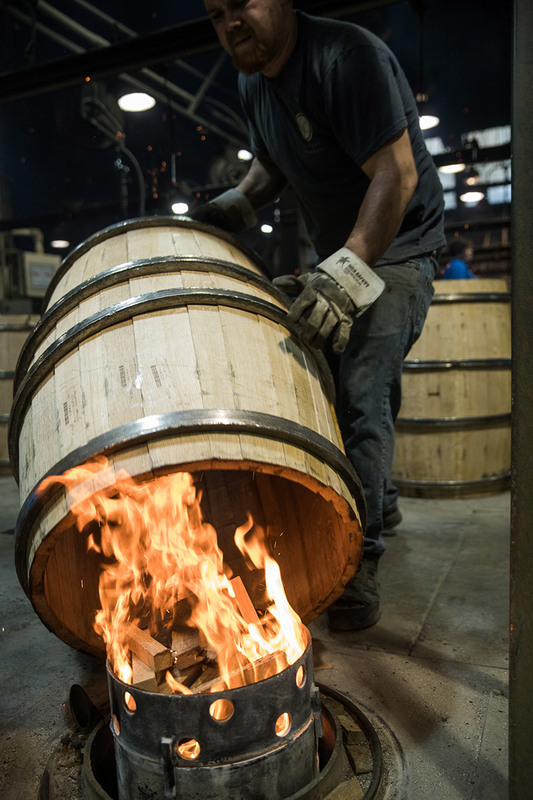 No matter what technique is used, a cask can be toasted or charred in dozens of different ways. The matrix of possible outcomes for an American white oak cask is staggering. We use two different types of casks at Westland; one steam-bent with a #3 char, the other heavily toasted with fire then a very low #1 char. We follow the fire-toasting line from the beginning all the way through to the end of the charring process. As we do, we marvel at how primal it is. The smells of burning oak, hot metal and soot. Casks being muscled on and off the fire by a cooper who ducks and dodges the orange sparks of burning wood like a pugilist. The sporadic splash of water that slows the burning, its hiss of steam holding a fleeting moment of dominion before succumbing again to the heat. It all contributes to an overwhelming sensory experience. While some parts of the cooperage are automated, here a craftsman manages the chars and toasts using experience, skill, and intuition. After the heads are affixed to the cask and the hoops are driven on, the cask is leak-checked and repaired if necessary. Given how integral the human influence is, it’s remarkable how incredibly efficient and precise ISC has engineered their entire process. Multiple quality checks are implemented at every stage of the cask’s construction. It’s immensely impressive to see world-class efficiency and logistics paired with a passion for flavor impact, innovation, and customer service. The day ends as most do in this business, over dinner and a few drams of whiskey. The table is set at the venerable Boswell family home right next door to the cooperage. Independent Stave Company is a family-owned business, now run by fourth generation siblings Amie, Brad and Joe. We’re joined by Chad and a few others we’ve met during our visit. Over a genuinely delicious home-cooked meal we attempt, with futility, to recount all that we’ve experienced in Missouri. We’ve absorbed so much information over the course of just a few days. But in the end, what stands out most, beyond the nerdy academics of the coopering business that we’ve gobbled up with gusto, is the incredible hospitality. Honestly, it’s been one the best experiences we’ve ever had in this industry. Besides being suckers for good, old-fashioned politeness, we value hospitality because it signals one very important thing: they care. This is a holistic business, whiskey. To excel at it we’ve learned that we need to care about and seek to understand as much as possible about every aspect. We share this belief with our friends at ISC. The passion and pride they have for their work is apparent at every step. They’re as curious and ambitious as we are. Their appetite for new ideas and new perspectives is inspiring. 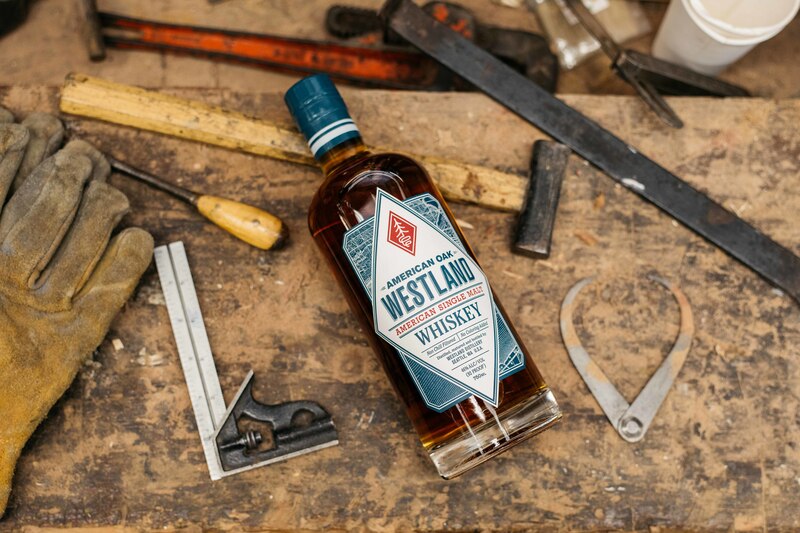 As we’ve said all along at Westland, the future of whiskey promises incredible possibilities if we begin to invest in and accentuate the raw ingredients themselves. The Scotch whisky industry says seventy to eighty percent of the flavor comes from the cask, yet when push comes to shove, the only thing that seems to matter is driving the cost down as low as possible. We pay more, substantially more, for the oak casks we receive from ISC but we do so because we believe that those differences matter. After visiting with the people that deliver those casks to our doorstep, we’re even more convinced in our resolve.